Antonio Garés was born in 1988 in Córdoba (Spain). He started his musical education at the age of six, graduating as a classical guitarist at the music conservatory Rafael Orozco in Córdoba. 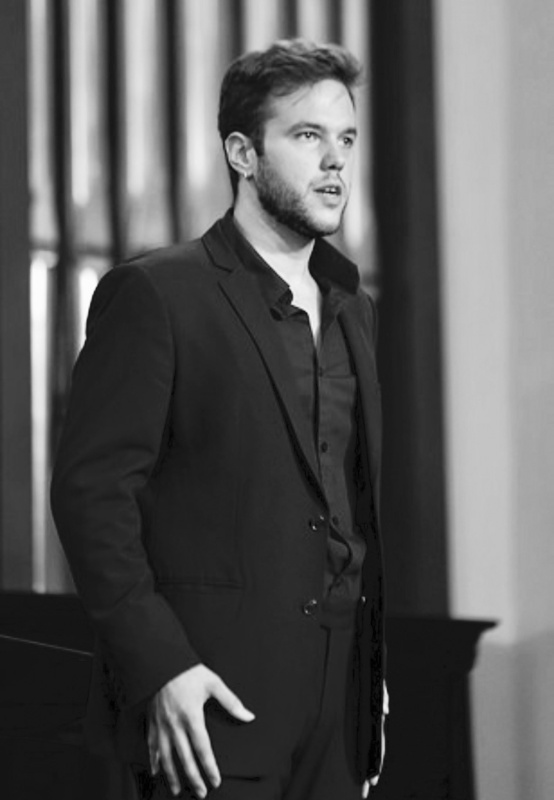 His training as a tenor started in 2013 under the guidance of the tenor Juan Luque Carmona, thereafter shifting to Florence to continue his studies with professor Donatella Debolini in the Conservatory of Music Luigi Cherubini. He was awarded the "Best Tenor" prize as a finalist and winner in the international competition "Carlo Guasco" of Alessandria in July 2017. He was selected for the Rossini Opera Academy in Lunenburg (Nova Scotia, Canada) directed by Alberto Zedda in 2015. Also selected by Ernesto Palacio as a former student in the Accademia Rossiniana Alberto Zedda 2018 in Pesaro. His repertoire includes operas such as Il Barbiere di Siviglia, Cenerentola, L'occasione fa il ladro, I Capuleti e I Montecchi, Don Giovanni, Elisir d’amore. In May 2015 he made his debut in Zarzuela El Duo de la Africana in the Gran Teatro de Córdoba. He interpretated Ramiro in La Cenerentola by Giocchino Rossini in the Teatro Comunale Luciano Pavarotti in Modena; the role of the German tenor of the Convenienze ed incovenienze teatrali by Gaetano Donizetti in the teatro del Maggio Musicale Fiorentino of Florence; Lo Fratte ‘nnamorato by G.B.Pergolesi and Così fan tutte by W.A.Mozart for the Guardiagrele Opera festival. Le vent du soir by J. Offenbach in the Teatro Goldoni in Florence. He took part in the Verdi Festival in Parma 2017 as Gastone in La Traviata by G. Verdi represented in the Teatro Verdi in Busseto. The most recent role Antonio Garés interpretated was the Conte Almaviva of Il Barbiere di Siviglia, in the teatro del Maggio Musicale Fiorentino in April 2018. He also concerts interpretating Requiem by W.A.Mozart, Te deum by Z.Kodaly, and the Petite messe solenelle by G.Rossini directed by Alberto Zedda.